ALLISON WATROUS is the Director of Education and has celebrated the DCPA as her artistic home for the past 20 years as an educator, actor and director. Allison is a collaborative leader of artists, teaching artists, actors, and educators and an innovative teacher who is passionate about working with students of all ages. She is currently on the faculty of Denver School of the Arts and the University of Colorado Denver. 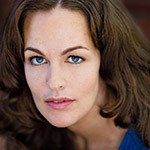 Acting work includes Kelly Young in Just Like Us, A Christmas Carol, John Brown’s Body and Scapin (DCPA Theatre Company); Girls Only – The Secret Comedy of Women (DCPA Cabaret); Astronomical Sunset (Curious Theatre Company), and Savage in Limbo, Crimes of the Heart, American Notes, Talley’s Folly and Gidion’s Knot (Sis Tryst Productions) Directing work includes Bus Stop (Arvada Center for the Arts and Humanities), The Revolutionists (BETC), Brighton Beach Memoirs (Miners Alley Playhouse), Big Love (University of Denver), and Failure: A Love Story, The Laramie Project, Eurydice, Wintertime, Arcadia and The Beauty Queen of Leenane (Denver School of the Arts) Allison earned a Masters Degree in Fine Arts in Acting from the National Theatre Conservatory.